POP UP FLEA RETURNS | A Continuous Lean. The holiday marketplace to end all marketplaces kicks off this weekend in New York City. This weekend is one of the highlights of the calendar for me. 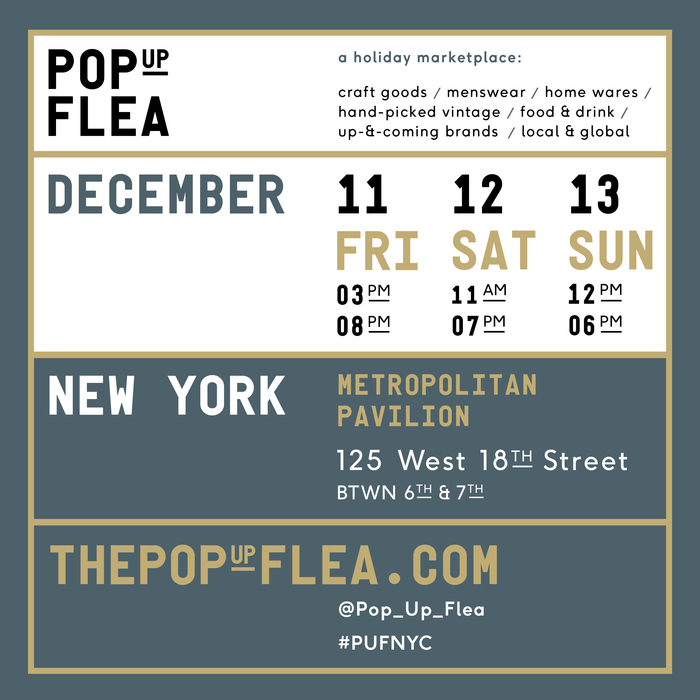 It’s that time of the year when my buddies Jamie Apostolou and Randy Goldberg get all of our favorite brands (and friends) together in one room for three great days of Pop Up Flea. It’s a celebration of good people selling well-made things. It’s about discovering the new maker or rediscovering an old favorite. I’d like to think there couldn’t be a better place to gift shop (or buy things for yourself which is nearly as much fun) in New York City this weekend. 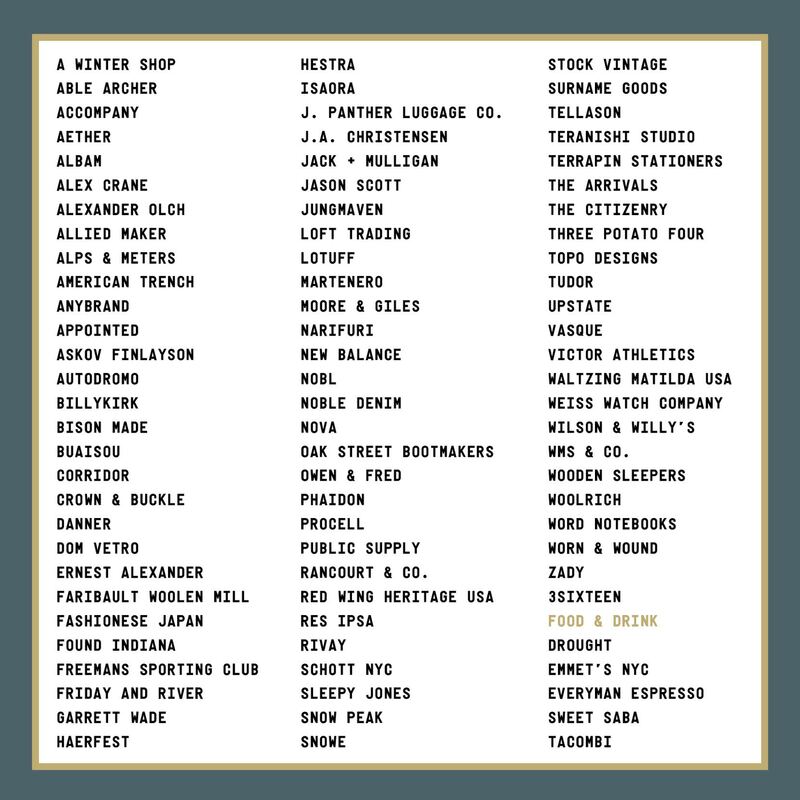 We’ve got 80+ awesome brands, food & drink, hand-picked vintage, home goods, fine leather goods, Maine-made footwear, engraved stationery and even things for the ladies. Everything kicks off on Friday at 3pm and runs through Sunday. Stop by, say hi, hang out, get some gifts, treat yo self and make some new friends. Some of the special things to experience at Pop Up Flea this weekend: Cuts and shaves by Freemans. Diamond engraving objects by Owen and Fred. Monogramming everything by Lotuff. The first ever opportunity to use the NB1 New Balance custom footwear program. Billykirk leather stamping. Buaisou natural indigo dyeing. 3Sixteen denim chain-stitching + much more.